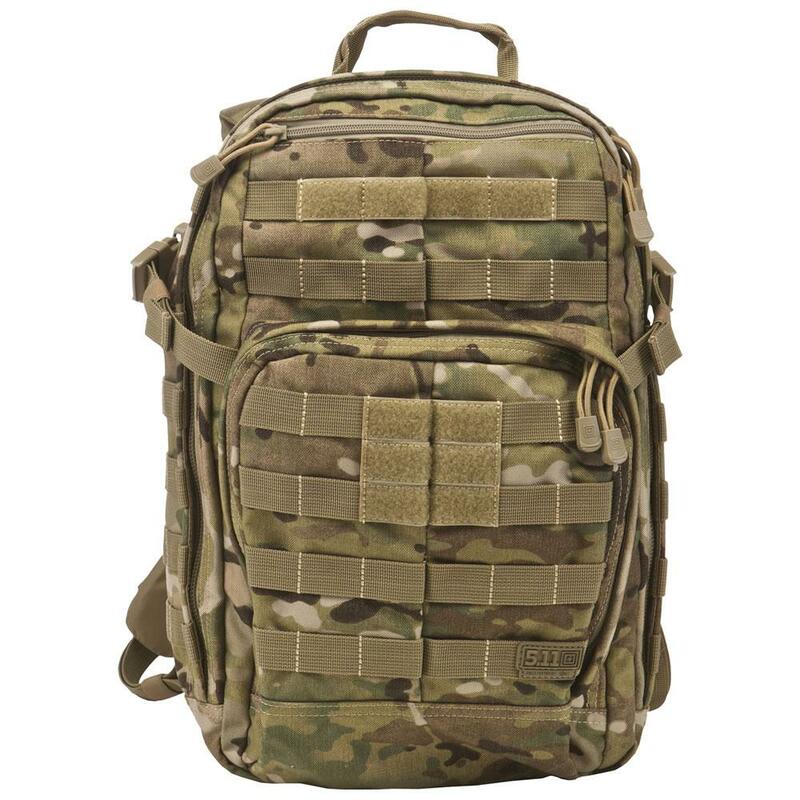 Water-resistant and designed for combat, the RUSH 12 Backpack is a high performance multipurpose bag that fills multiple roles, from a tactical assault pack to a hunting backpack to an emergency go-bag. The RUSH 12 backpack offers external compression straps, adjustable shoulder straps, and a centered sternum strap to ensure stability, and water resistant construction to keep your gear dry and secure in any climate. 16 total compartments provide a wide range of storage options, each one sized for a specific use. An extensive wrap-around web platform is MOLLE and 5.11 SlickStick® System compatible, allowing you to customize your storage to suit your needs. Additional features on the RUSH12 backpack include an internal admin panel for organizing small accessories, a 60 oz. hydration pocket that keeps you on the move, and a fleece-lined sunglass pocket that protects your eyewear.